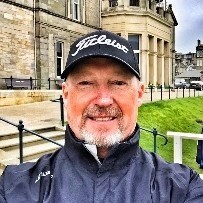 I use a short putter with Titleist ProV1 golf balls and I always hit the ground with the putter. Can TT give me some tips? Sounds like you are hitting down at the ball like an iron. Do you take a few practice strokes first? If you do and never hit the ground, you are too focused on the hit. Try putting some while looking at the hole instead of the ball. Don't ground the putter, let it hover above ground behind the ball. Good luck! Try to keep your hands/wrist still (quiet) throughout the swing. Don't slap at the ball. Another thing to try is placing the ball at the front foot this will help you swing to the ball & not at the ball. You should swing up slightly to get the top spin on the ball for a quality roll on your putt. A good training aide for getting too much wrist or arms into the swing is slipping a hanger or exercise band around both arms at the elbow then make a putting stroke,this will allow you to use the upper body together as one and not just the arms & or wrist. Putting is everything to a good score. As a 15 handicapper I wont attempt to "fix your swing" however you most likely are putting with an arc or open toe swing when you should just focus on straight back and straight forward...trust the line and repeat. Best of luck friend, score well! Everyone is different, but this tends to happen to me when my head is moving. Two things that have worked for me to make more solid putts is 1) I stare at a spot on the ground just behind the ball. My focus stays there for a second or two after contact. 2) Just before I am ready to take the putter back, I lift it off the ground just slightly. This way the bottom of the arch is off the green rather then returning the club to the ground. You might try hovering the putter about an 1/8" to 1/4" above the ground before you putt. 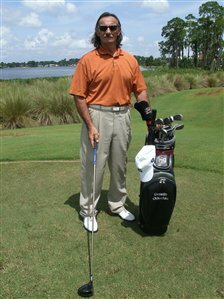 Also, from the picture below, you will not to hit the putt solid, the sole of the putter has to be significantly above the bottom of the golf ball. Once in a while this happens to me. Usually the putt is short when I hit the ground just before striking the ball. When I am having a bad day. 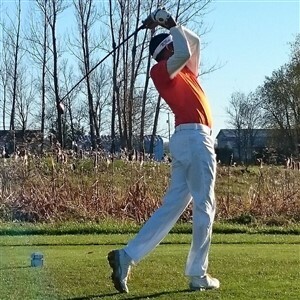 When i got fit for a sik putter I had an issue of hitting the ground on the backswing. They told me hover the ground when I take it back and it helps reduce stress and I don't do it anymore. Yeah the putter should be in motion from start to finish. Hovering it to start really helps with a solid contact on the ball as you bring the putter through. I have Ian poulters cs2 from ages back love it to bits! 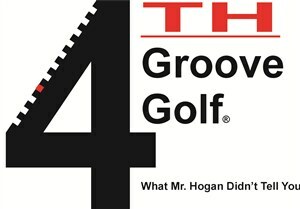 It really help my putting. Keeps you on plain. Also, from the picture below, you can note that to strike the putt solid, the sole of the putter has to be significantly above the bottom of the golf ball. hopefully, you have found the cure for your problems. Here's a 10 cent solution. Place a dime directly behind the ball when you practice. Just stare at the dime and make your stroke. Let your arms hang naturally, grip the putter, move your shoulders to putt not your arms.